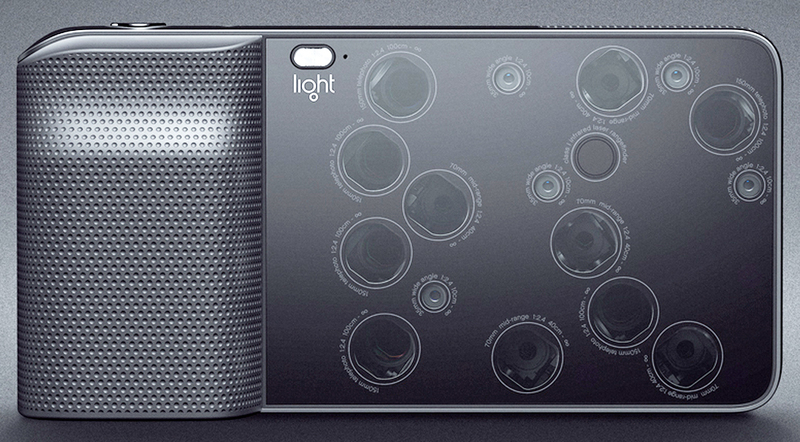 What the Hell is a Light L16 Camera? Dave Grannan, CEO of Light has just unveiled a strange creature camera that is set to change the way we approach everyday photography. It’s about the size of a chunky phone, has 16 lenses, comes in all black and promises to revolutionise the photography industry. Slightly reminiscent of the Amazon Fire phone which houses five small cameras on the front facing screen, on the surface light appears to pack one hell of a punch. Could it really be the next step forward in the digital imaging industry? We asked professional photographer Matt Robinson his opinions on the new design. The ensemble of lenses look somewhat clumsily placed on the front of light, and there’s a lot of them. 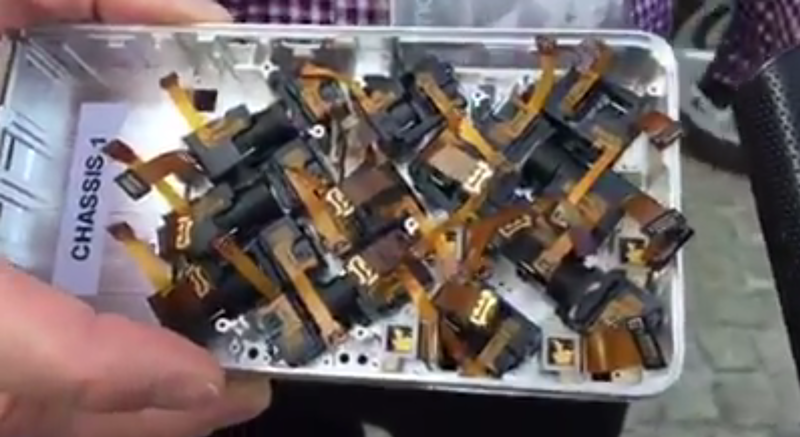 In a video posted to Facebook Gronnan states there are 5 x 35mm lenses, 5 x 70mm lenses and 6 x auto adjusting 150mm lenses which all lead to the ultimate goal of optical zoom in a smartphone sized phone. Gronnan took the phone apart so we could see reasoning behind the seemingly random placements. 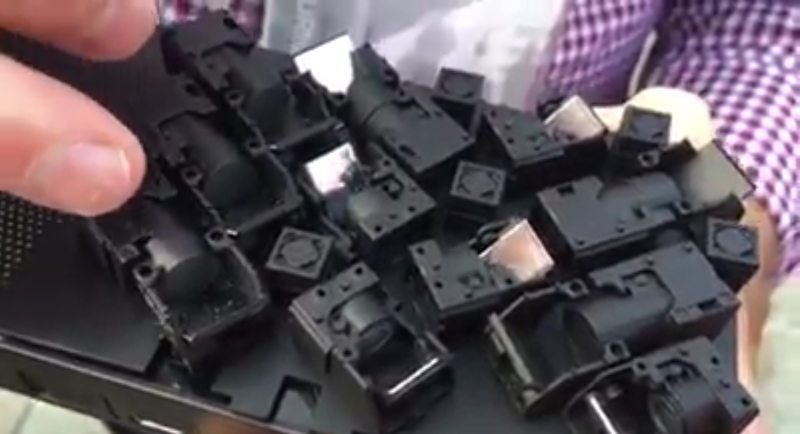 The new company announced just this afternoon (according to the Facebook video) are hoping to ship completed and ready to go units next Summer, with the first models going to preorders placed today. At $1299 they come in at roughly twice the price of a new iPhone or budget Canon DSLR with lens. Whilst Gronnan says that his revolution can do everything that a Canon 5Dm3 & several lenses can do, you’d need to have oodles of noodles in your bank to buy one of these on a whim. The specs so far are quite sparse. We know that during the taking of any photograph 10 of the 16 cameras will fire and “computational algorithms” will do the rest. The images produced will be 52mp and can be instantly resized to upload to Facebook. 4K, being all the rage right now is a standard for video recording and finally the system is built on Android. $1299 you say? Light released a highly polished advert for its debut camera, which doesn’t show much apart from a bunch of models taken photos. To really get a feel of this give us a third party reviewer please. Light preorders start today for $1299, requiring only $199 upfront with the first deliveries being promised next Summer. Relatively quick, reasonably in depth overview, between the different sources.